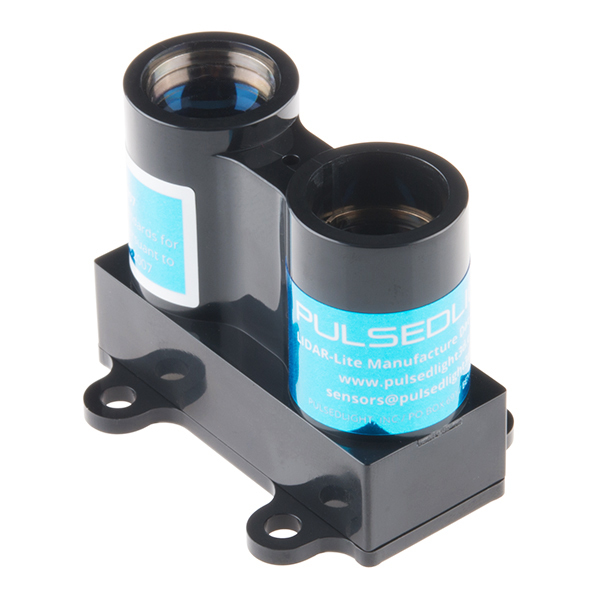 This is the LIDAR-Lite v2, a compact high performance optical distance measurement sensor from PulsedLight. 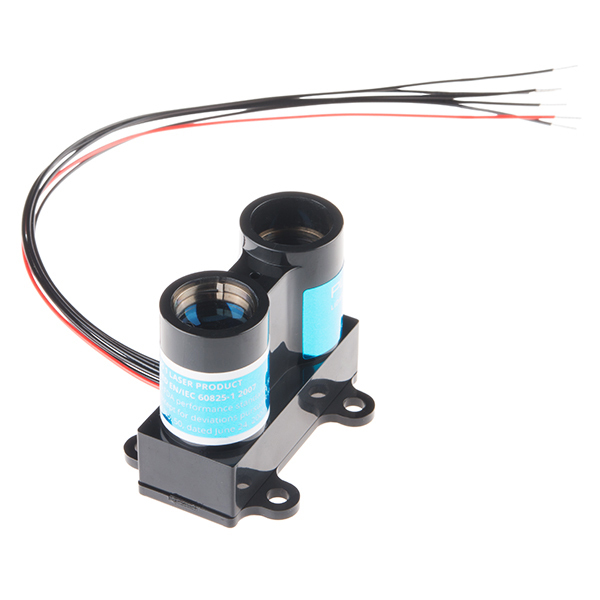 The LIDAR-Lite "Blue Label" is ideal when used in drone, robot, or unmanned vehicle situations where you need a reliable and powerful proximity sensor but don't possess a lot of space. All you need to communicate with this sensor is a standard I2C or PWM interface. 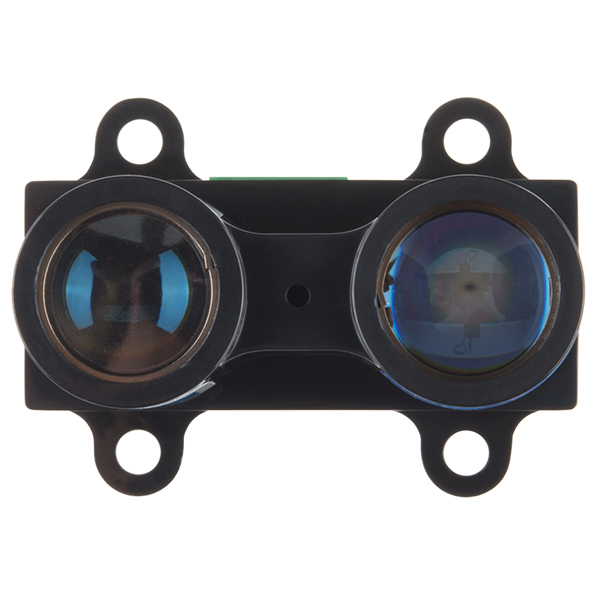 With everything connected the LIDAR-Lite v2, with its range of up to 40 meters, will be yours to command! 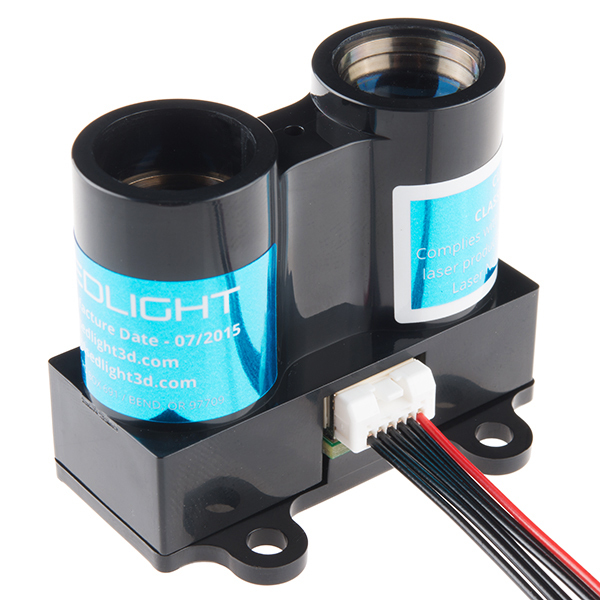 Note: With Garmin® recently acquiring PulsedLight® the LIDAR-Lite v2 has been marked EOL. We are currently waiting on word about the next exciting product these two companies create. We will come back with additional information once we obtain it. Why was this product retired? With GarminÂ® recently acquiring PulsedLightÂ® the LIDAR-Lite v2 has been marked EOL. We are currently waiting on word about the next exciting product these two companies create. We will come back with additional information once we obtain it. 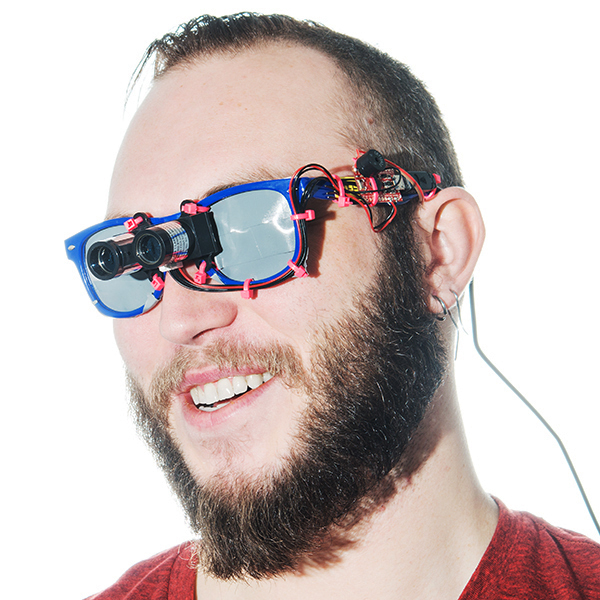 Intel Edison example code using the Lidar Lite https://github.com/aafeliz/LIDAR-Lite-v2-edison. "We haven't established a minimum temperature through testing. 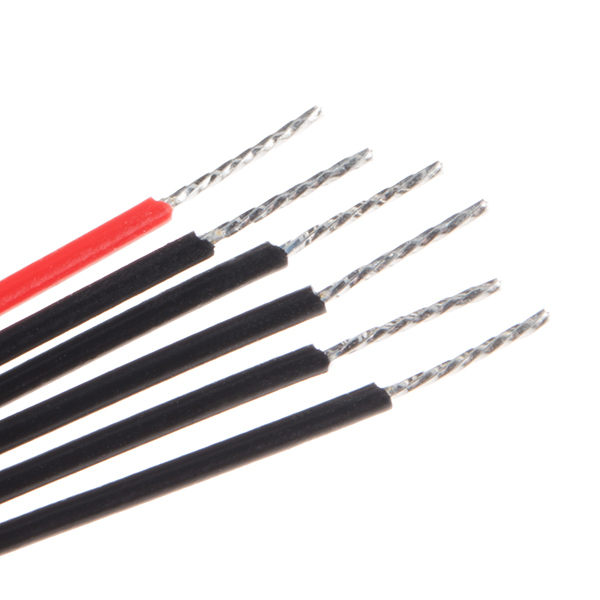 Anecdotally, several of our customers have successfully used our sensors in temperatures well below the freezing mark. Our sensors are not weatherized so [it] will need protection from the elements if placed outside. Water, dust and dirt would quickly disable our sensors in the absence of a protective housing. 3) There will be some loss of signal as the beam passes through the window which will result in some loss of range. 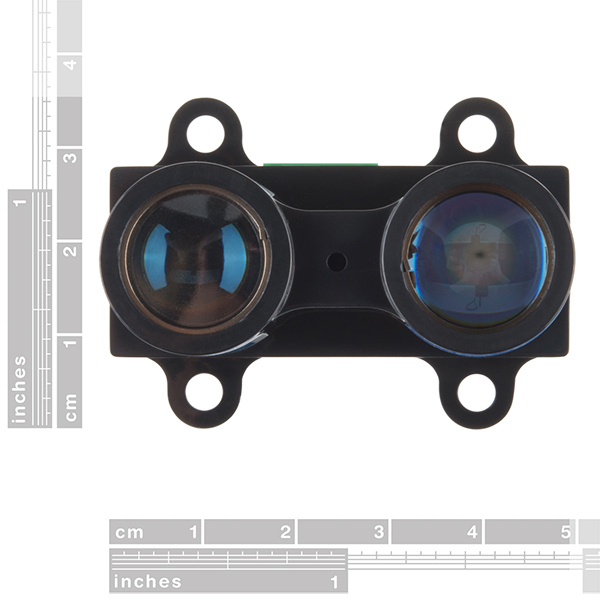 For more information about using the sensor through liquids or particulate in a medium, check the Lidar Lite documentation: http://lidarlite.com/docs/v2/special_topics/#reflectivity. I havenât tested this with dust or particles in the air. Theoretically based on the manufacturerâs datasheet, if the particles are reflective, the sensor might pick up the signal reflected back. It would probably have to be a pretty dense, reflective cloud. It might work if you placed it into an enclosure but you would need to test it out to be sure since this is dependent on the material and your environment. Testing this with a clear, non-colored, flat acrylic piece on our speed trap project that used the Lidar v1 (up to around 1 inch away), the sensor was able to see through the acrylic and detect the movement of an object. It says "single stripe", does that mean a line spanning horizontally or is it just a single beam aiming directly straight? Has anyone used this in a bathymetry application? How did it work out? Yes that will work. I have 20 units all behind acrylic and it works like a charm. This is beautiful :'). I'm gonna save up for it. and how does a cellphone compare to a LiDAR emitter? Apples and Oranges. Is that a 10x improvement on reads per second? I'm assuming the acquisition time is far less than 0.02 seconds. Replacement for V1, not alternative to V1. Ergo, 50% price jump. Whoa!? 50% price jump in 6 months! Still significantly cheaper than any alternative I can find. Thanks for carrying, Sparkfun! This new model takes measurements at 500Hz according to the manufacturer website. That's why the increased price. My initial comment should have been: wow, that is a great improvement! can you still carry the cheaper/slower model since I will not benefit from this improvement? Then I could still be upset that my project is no longer feasible without everyone assuming I was illiterate. They don't carry the old one anymore, but other places still do. Excellent add-on for my hexacopter. I used the PWM integration option with my Pixhawk controller and it's working flawlessly. Altitude hold mode is now solid as a rock. Very nice. Albeit a smoothing capacitor, it's just 2 wires for I2C and 2 more for power. I immediately hooked it up to a Mega, #included <Wire.h>, and received amazeballz resolution and accuracy. Hooked up a buzzer and made a super accurate theramin, I also left it pointing at the road overnight to count cars and it never failed or got hot. Definitely a great module for any accurate or quick ranging requirements. FYI: In Pulsed-Light diagrams they use an electrolytic capacitor between 5v-Gnd, this is a decoupling or bypass capacitor that's meant to smooth-out the power coming into the LIDAR module. It is not required, but it is recommended since it stabilizes operation and readings by offering a consistent voltage for the device to work off of. Library is simple, with great instructions, but there's a ton of noise in this version (even the library says it's "virtually required" for this version) if you don't have the capacitor. Sparkfun doesn't sell the required cap (and doesn't ship with it), so now i'm off ordering a set from mouser + shipping. It's simple to use, but I hope the cap stabilizes the data. I'll post an update after I find out. The Lidat Lite was a great produuct. It worked flawlessly, and it did what is was supposed to do. I have made a radar on my youtube channel, the name is Jyo Pari if you want to see it. It is part of a large for college to map a room and we haven't really messed with it yet. Now I'm waiting for the manufacturer to post more detailed information about how to best utilize the new features.